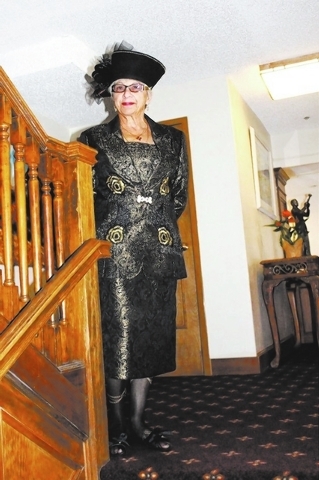 Joan Pomellitto, Boulder City Senior Center member, models a vintage outfit during a fashion show Sunday at the Historical Boulder Dam Hotel. About 60 people attended the event that raised $380 for the center. The vintage clothing was provided by Brenda Wright’s Go Vintage boutique inside Shermans House of Antiques.